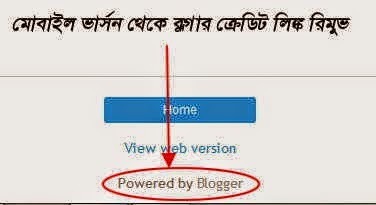 ব্লগস্পট ব্লগের মোবাইল ভার্সন থেকে Powered By Blogger রিমুভ করতে চান? Online news 24 for all Bangladesh people newspaper. This is great application for Bangladesh update news. Onlinenews24 All time publish update news and have some district impotent newspaper such as Bangla News, prothom-alo, chittagong daily, daily sylhet, ajker Barisal, grammar kagoj, rajshahi news 24, rangpur news 24, Cricket live score, and save document option. please click link for application "https://play.google.com/store/apps/details?id=com.selim.onlinetech24.onlinenews24" and add review.